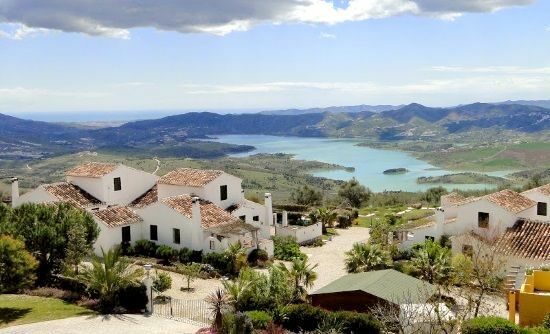 It’s almost too good to be true but enjoying a slice of real Spain doesn’t come much easier than at Finca Vinuela with a tiny baby or wandering toddler to worry about. This pretty pueblo is tucked into the hills north east of Malaga, so the transfer from touchdown is only an hour and the stunning 360° views are well worth the climb. 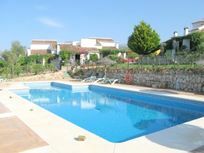 The cluster of Casas Rurales has been carefully thought out to provide plenty of peace and privacy for parents to relax, but also have the opportunity to meet other people at the pool, in the play areas and at a superb Mediterranean restaurant. Families actually have 18,000 square metres of grounds to explore, where children can play endless rounds of mini golf or boules, and have fun on swings, a slide, see saw, trampoline, trikes and playing field. At the centre of Finca Vinuela is a 12m x 6m swimming pool which is fenced and gated for the safety of straying toddlers and has an extended shallow end of just half a metre depth, with easy access for children. The pool has a ‘soft’ saltwater filter system which avoids the need for nasty chemicals and is much nicer for sensitive swimmers and splashers. 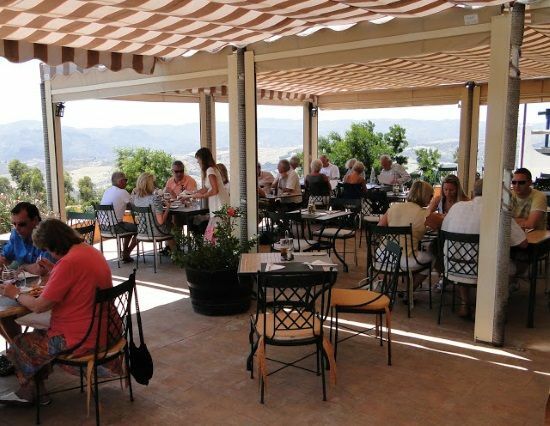 When mum or dad can’t muster the energy to cook, Finca Vinuela comes to the rescue with its excellent restaurant and bar in a traditional Spanish Finca, with gob-smacking views over Lake Vinuela from its dining terraces. 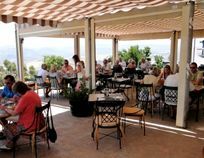 The menu is made up of freshly made, seasonal dishes to capture the tastes of Spain and the Med, plus a special Carta de Ninos has trusty kids favourites from fried fish fries and homemade meatballs to pizzas, pasta and ice creams. Traditional Paellas can be booked in advance and any of the dishes can be prepared as takeaways to tuck into back at the cottage. 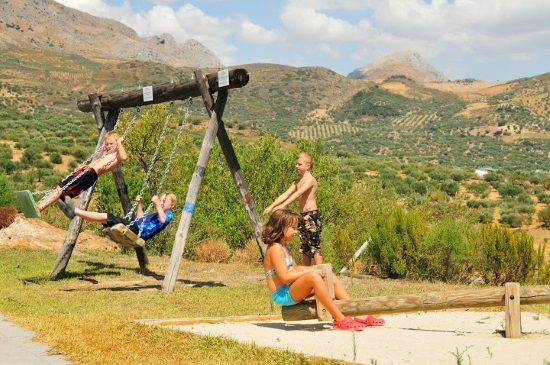 Making families feel safe is a big deal for the owners of Finca Vinuela and all the cottages have been rigorously vetted to meet the standards of the Child Accident Prevention Trust. All the essential baby safety gear is provided, as well as smoke and carbon monoxide detectors, and the private terraces at the front of each cottage have been enclosed for parental peace of mind. Whilst being well geared up for children, the cottages have been designed and furnished in the traditional Andalucian style, featuring raftered ceilings and green shutters at the windows. There are cosy wood burners in the living rooms and dual function air con can be switched to cool for the summer or heating if chilly. 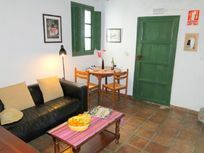 The TV has some English channels and the cottages have a DVD player with a library of movies to choose from, plus Wi-Fi is available and toys are provided to suit all ages. Finca Vinuela comprises 3 x 1-bedroom cottages (1 double room), 6 x 2-bedroom cottages (1 double and 1 twin room) and a 3-bedroom apartment above the restaurant (2 doubles and 1 twin room). 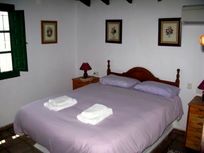 There is space for a cot in all the double bedrooms and some of the twin rooms, with 9 travel cots available as well as extra children’s beds if required. 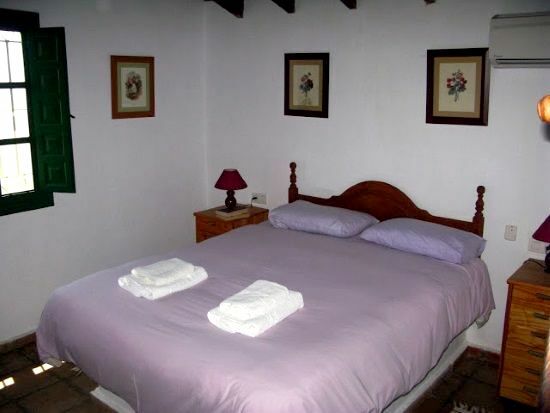 The cottages have a family bathroom, with a bath and overhead shower. The living/dining rooms are cosy and comfortable, with a log burner, sofa, TV with some English channels, DVD player, radio and Wi Fi. 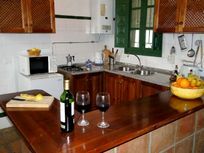 The kitchenette has an oven, gas hob, microwave, fridge, toaster and kettle etc and there is a washing machine, ironing board and iron in a separate, shared laundry room. To enjoy the views and relax in the sunshine, each cottage has an enclosed, terracotta tiled patio, draped in bright Bougainvillea, with a dining table and BBQ. Please note that the on-site restaurant will be closed from 31 October for the winter (reopening in Spring). The chef will be offering his services to guests staying over the winter months. 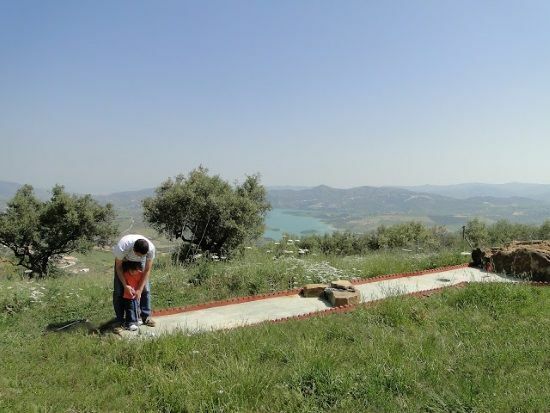 Food can either be delivered to the accommodation, or he will prepare the dishes in front of the guests. Finca Vinuela has a stunning panoramic position in the hills of Andalucia, approximately 1 hour north east of Malaga. 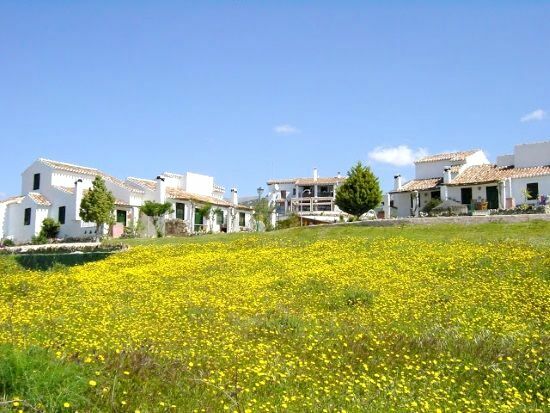 The pretty and peaceful little town of Periana is only 1.5kms away, with many bars, restaurants, shops and essential amenities, including a pharmacy and doctor. The town is renowned for its olive oil, known as Periana Gold and it’s possible to see how it’s made at the local co-operative. The Wednesday market in Periana also has stalls piled high with other locally grown produce including peaches, oranges, lemons, avocados and pomegranates. 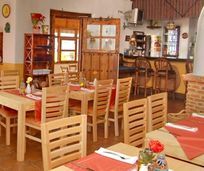 For a ‘big shop’, there are large supermarkets and other stores at the shopping complex near Torre del Mar (25 mins) and this can easily be combined with a day on the town’s good sandy beaches. Also close to the shopping complex is the highly recommended Aquavelis Waterpark (open June to September) with two large pools and a children’s pool, wave machine, superfast slides, chutes and inflatable rapid runs. 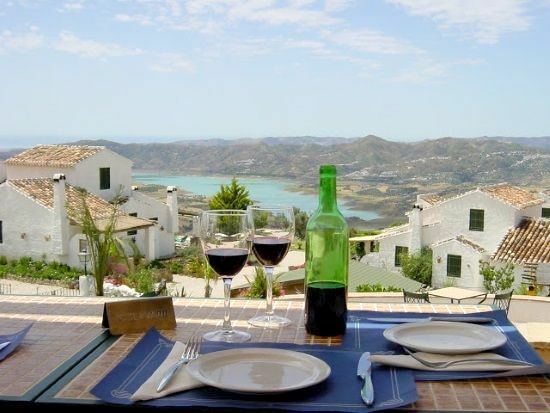 Heading east along the coast is the popular holiday town of Nerja (50 mins) and, with so many restaurants bars and shops, it’s hard to believe this was once a sleepy fishing village! Families can take a stroll along the Balcon de Europa promenade that juts out into the sea or pay a visit to Nerja’s famous cave system nearby, which stretches 5kms underground and has many atmospheric concerts going on throughout the year. Finca Vinuela offers opportunities for spectacular walking and cycling and the owners will happily provide more details and maps of trails to suit all ages and abilities. Just a short drive away, El Torcal is an especially interesting place for families to explore, with weird and wonderful limestone formations that look a bit like giant animals and towers of huge boulders piled up on top of each other. 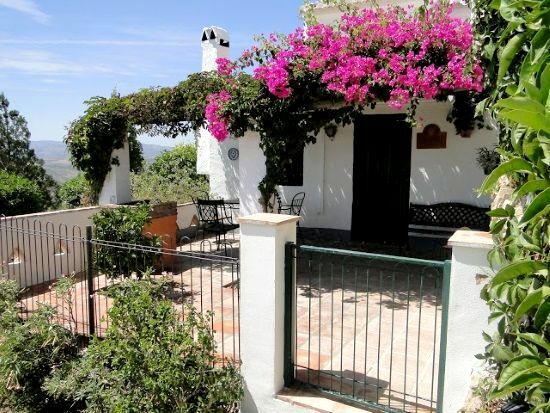 Families will almost certainly land in Malaga but, just an hour away, this major city also makes an interesting day out, with its historic palaces and cathedrals, Moorish fortresses, fabulous shopping and top restaurants. 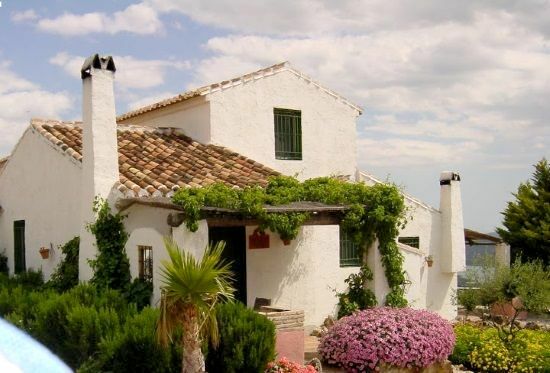 Just outside Malaga, Finca La Concepción is one of the most beautiful botanical gardens in Spain or families can have a full day of fun at Tivoli World theme park, with many rides for younger children as well as big thrill rides, plus wild west and flamenco shows. A little further afield, no visit to Andalucia is really complete without a trip to the beautiful Moorish capital of Granada (1hr 30) with its awesome Alhambra Palace brooding over the whole city. Getting here: The major holiday airport of Malaga is 1 hour away, with lots of flights available from airports across the UK. Malaga airport is just under an hours drive away. 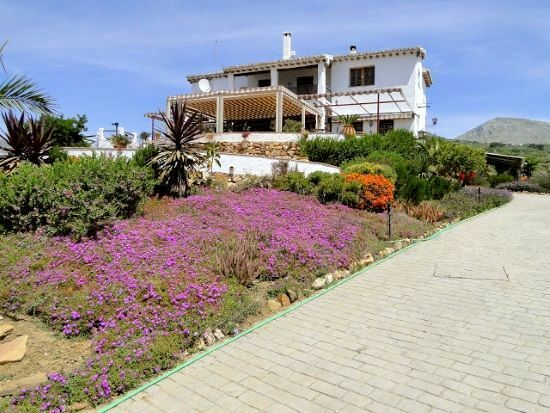 Torre del Mar is a 30 minute drive away. Securely fenced, unheated, soft-water pool, (12 x 6 m). Shallow end (0.5m depth) with easy-access steps for children. There is a communal play room. Chef services are available in winter months. Babysitter (English -speaking) available in village. 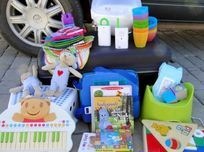 Travel cots, . highchairs, babybath, baby monitor, steriliser, potty, stairgates, bed guard, socket covers, plastic plates and cutlery, booster seat, potty, changing mat, non-slip bath mat, child's loo seat, night light, bouncy chair. Mountain buggy available for hire: 25 euros per week. Meals can be ordered from restaurant to be left in the cottages ready to reheat on arrival. Takeaway option also available from restaurant. 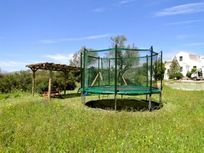 Swings, slide, see-saw, trampoline, sand table, mini golf, play room, table tennis, table football, trikes and bicycles for younger children. 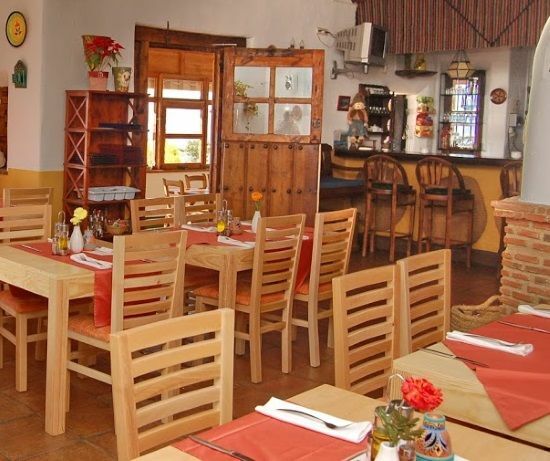 Restaurant (open late March  end October). Chef service available during winter months. 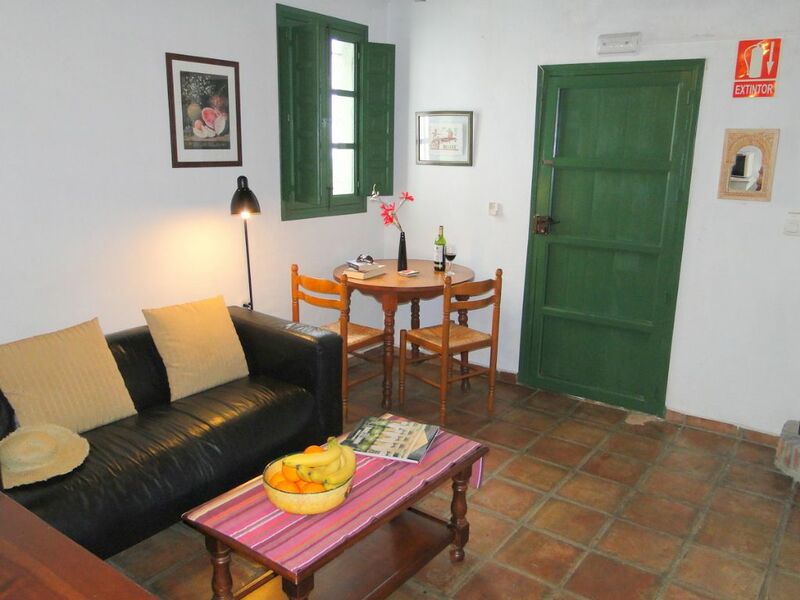 Each cottage has a fenced terrace and there are communal unfenced gardens. Complimentary Wi-Fi in the restaurant and cottages. Caleta, near Torre del Mar (25 minutes away).